This, of course, is patent nonsense. Speech is not violence — and violence is not speech. Equating the two is the hallmark of a tyrannical worldview: If I can treat your speech as violence, then I am justified in using violence to suppress your speech. 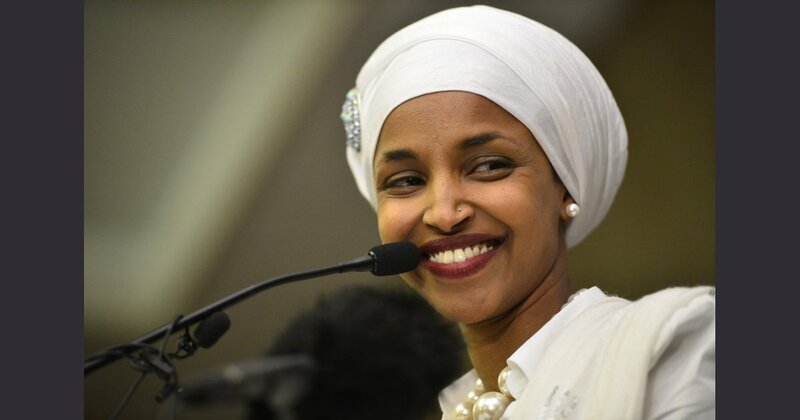 And yet that obvious fallacy has become the rallying cry in defense of execrable Rep. Ilhan Omar, D-Minn.
Omar, who has been content to spout openly anti-Semitic nonsense every several weeks since her election, came under fire this week for her remarks at an event in late March, shortly after her Democratic colleagues covered for her Jew hatred by watering down a resolution of condemnation. That minimization of 9/11 — and that’s what it is — resulted in blowback from conservatives. It’s not as though Omar’s history of treating terrorism with kid gloves is anything new, after all. In 2017, Omar wrote for Time magazine: “We must confront that our nation was founded by the genocide of indigenous people and on the backs of slaves, that we maintain global power with the tenor of neocolonialism. … Our national avoidance tactic has been to shift the focus to potential international terrorism.” That’s not exactly a ringing rebuke of international terrorism. But now Omar is criticizing those who merely quote her as inciting violence. She has claimed that President Trump, who posted a video that juxtaposed footage of 9/11 with her “some people did something” comment, is responsible for an uptick in the number of death threats she has received. Her close friend Rep. Alexandria Ocasio-Cortez, D-N.Y., went so far as to compare Omar to a victim of the Holocaust. This is immoral in the extreme. Omar isn’t a victim because she’s being criticized. And speech isn’t incitement. Sen. Bernie Sanders wasn’t responsible for the congressional baseball game shooting. Former President Barack Obama wasn’t responsible for the Dallas police shooting. And Trump isn’t responsible for those who send Omar death threats. He’s responsible for criticizing her — rightly, in this case. Democrats who hide behind the charge of incitement are simply attempting to quash debate. And that’s far more dangerous for the future of America than criticizing a radical politician. Ben Shapiro, 35, is a graduate of UCLA and Harvard Law School, host of “The Ben Shapiro Show” and editor-in-chief of DailyWire.com. He is the author of the No. 1 New York Times best-seller “The Right Side Of History.” He lives with his wife and two children in Los Angeles. Can the President Kill Americans? Will Gene Therapy Wipe Out Gays?